Nanotechnology is a much talked about, and rapidly expanding area of science, which is sometimes little understood. It looks set to make a significant impact on human life and, with numerous commercial developments emerging, will become a major industry over the coming years. Nanotechnology can be broadly described as developing or exploiting products at nanometre dimensions (i.e. as having one dimension less than 100 nanometres). Such materials have a larger surface area to volume ratio than conventional materials which provides them with an increased level of reactivity, and consequently, toxicity per unit mass. This book sets the subject into context by first of all describing the current range of products containing nano-materials and then looking at the consequences for the environment and human health relating to the introduction of nanoparticles and nano-tubes. 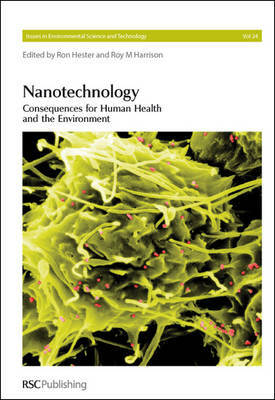 Nanotechnology: Consequences for Human Health and the Environment discusses some of the more controversial issues associated with the field including: nanoparticles in the environment, occupational exposure, toxicological properties, human health issues and safety. This authoritative and comprehensive book will be of interest to both scientists and technologists but also to regulators and government. This title is also available in hardback.